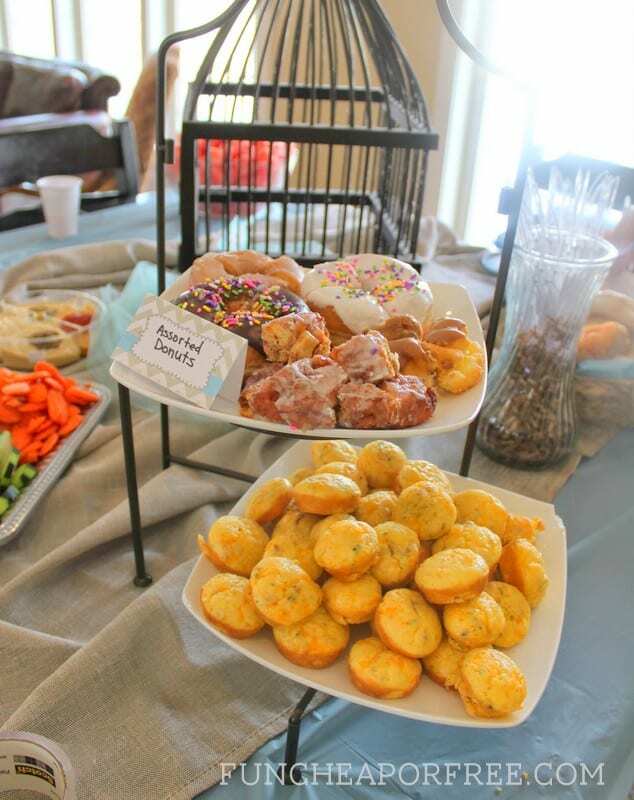 As mentioned in this post about how I threw a bird-themed baby shower for just $25, one of the hits of the party were my (ridiculously easy and delicious) 10-minute mini quiches! 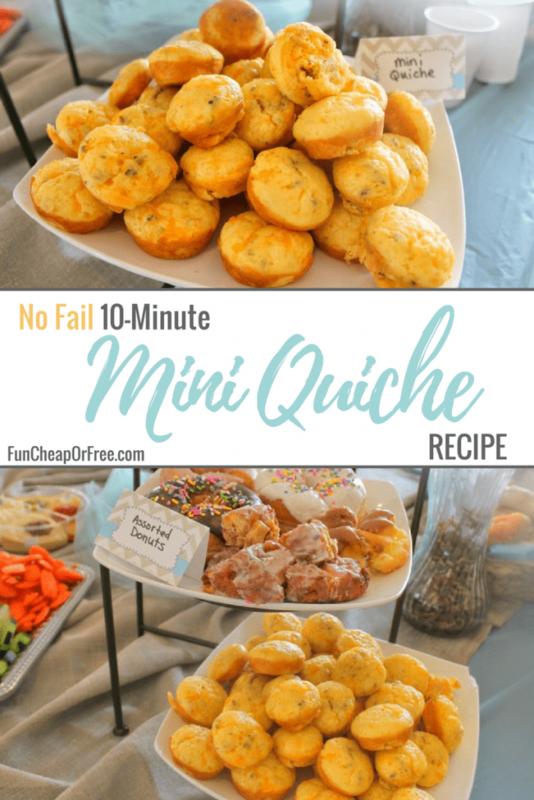 Today I thought it was time to share my secret and share this mini quiche recipe that is PERFECT for parties, brunch, breakfast, showers, or hiding in your closet on a bad day and downing the entire batch while wearing sweat pants. Either way. 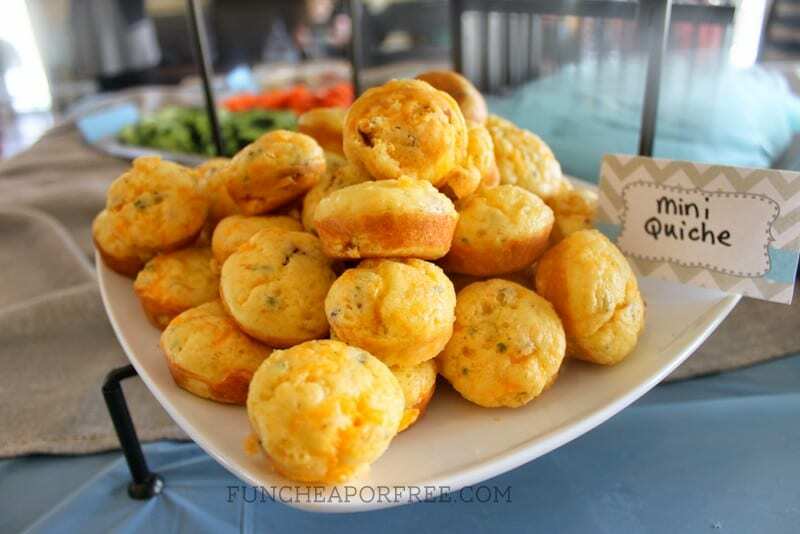 They aren't super egg-y (they are more of a muffin texture), and they are very inexpensive to make (because you most likely have all the ingredients on-hand) so they really are perfect for parties and gatherings because you can make huge batches for pennies. Hope you enjoy! Fry up bacon until crisp, if using slices of bacon. Drain, crumble or dice, and set aside. Beat the eggs. Mix in all ingredients, spoon in greased muffin pans (fill cups to the top). Bake for 10-12 minutes, or until the tops are slightly browned. Mine are plenty done by 10 minutes. Allow quiches to cool before removing from the pan with a small knife or spatula. Whatever else you have lying around! If you like it in an omelet, you'll like it in these. 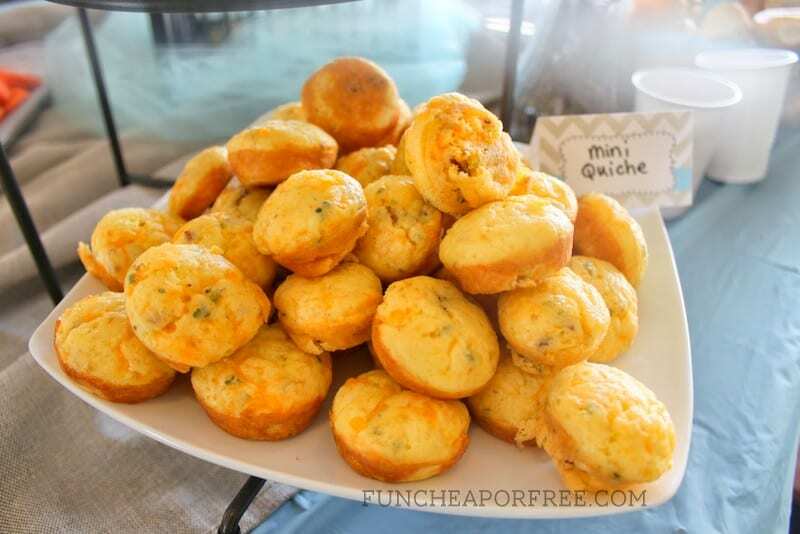 If you want them even MORE like a muffin, you can increase the Bisquick. If you want them cheesier, add cheese! If you want them eggier, add more egg! You can't mess these up, so have fun with it. Again, they are perfect for parties. Look at how cute they are?? Name our conference and win $50! I love these! Thank you so much for the recipe! I have made them quite a few times now for parties and keep getting complements like crazy. What I’d love to know is if you ever make them ahead (like the night before) and how you deal with that? Do you freeze them or just stick them in the fridge? Do you reheat them or serve them room temperature? If you do reheat them/warm them (which I would prefer) how would you do it? Oven? Microwave? Id love to know how the pro does it! Thanks so much for all you do for us freebs!